Japanese technology company Nikon on Wednesday launched Nikon Z7 and Nikon Z6 full-frame mirrorless cameras along with Nikkor Z series lenses in India. Although the two cameras look identical, they differ in terms of megapixels, ISO range and focus points. While Nikon Z7 and Nikkor Z camera lenses are scheduled to go on sale in India starting September 27, the Nikon Z6 will hit the shelves later in November. The Nikon Z7 body-only costs Rs 2,69,950, while the price of Nikkor Z 24-70mm F/4 S + Mount Adapter FTZ Kit is Rs 3,26,950, the Nikkor Z 24-70mm F/4 S Kit bears a price tag of Rs 3,14,950, and the Nikon Z7 + Mount Adapter FTZ Kit is priced at Rs 2,81,950. The price of Nikon Z6 body-only is Rs 1,69,950, and the Nikon Z6 + Nikkor Z 24-70mm F/4 S + Mount Adapter FTZ Kit bears a price tag of Rs 2,26,950. 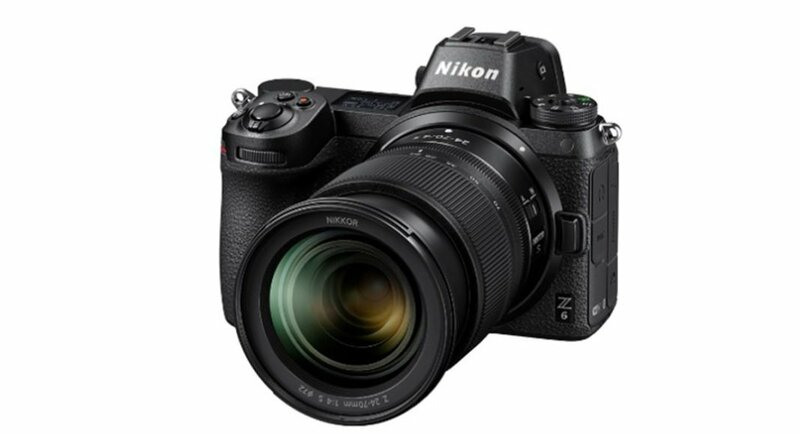 Speaking of the Nikon Z6 with Nikkor Z 24-70mm F/4 S Kit and the Nikon Z6 + Z6 Mount Adapter FTZ Kit, the former costs Rs 2,14,950 while the latter is priced at Rs 1,81,950. Coming to the standalone cost of camera lenses and mount adapter, the Nikkor Z 24-70mm F/4 S bears a price tag of Rs 78,450, the Nikkor Z 35mm f/1.8 S is priced at Rs 66,950, the Mount Adapter FTZ costs Rs 19,950 and the price of Nikkor Z 50mm f/1.8 S is Rs 50,950. The Nikon Z mount system comes with mirrorless cameras along with a large diameter mount and compatible ‘NIKKOR’ lenses and accessories. The Z mount system offers an entire range of high-performance lenses including a f/0.95 lens — which is the fastest in the company’s history. The newly launched mount adapter is also compatible with NIKKOR F mount lenses — which adds to the number of choices for those who love photography. The company also has plans to unveil new lenses that would extend its range of high-performance ‘NIKKOR Z’ lenses.